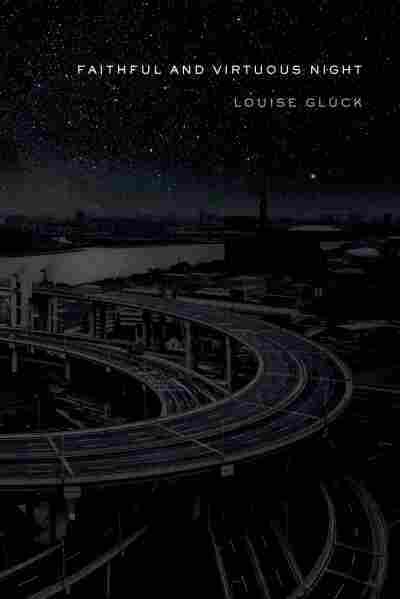 Book Review: 'Faithful And Virtuous Night' By Louise Glück | Reviewer Annalisa Quinn says the poems in Glück's new collection Faithful and Virtuous Night are lovely in places, but also misty, ambiguous and seemingly in love with their own haziness. Louise Glück is in love with silence — her poems strain towards nothingness. "The unsaid, for me, exerts great power: often I wish an entire poem could be made in this vocabulary," she once wrote in an essay. In her new collection, Faithful and Virtuous Night, one poem features a painter, aging and facing his own decline, who paints canvases that are "immense and entirely white." There is something very like the white canvas in Glück's new collection — words, though obviously chosen with extraordinary care, somehow add up to a blankness — the speaker of one poem, looking at his watch, realizes " ... the serene transit of the hour hand / no longer represented my perception of time / which had become a sense of immobility / expressed as movement across great distances." It's so restrained, so carefully empty while still giving the illusion of depth (time, perception, movement, distance!). When I look at all-white paintings, if I work very hard, I can sometimes summon up the requisite feeling of slack peacefulness or (depending on the weather) dread at my impending mortality. But, in my hoggish heart, I want things — grapes on plates, Biblical beheading scenes, sea nymphs, sallow Jesuses, people eating pastries on boats, naked Dutch women with fat toes — anything but showily restrained blankness. In Faithful and Virtuous Night, Glück's longer, lovelier poems are interspersed with blocks of text, prose poems that are blandly koanic, seemingly in love with their own haziness. They lack the sudden, bristly thingness that keeps so much of her other work from blowing away in wisps. One of these parable-poems begins, "When the train stops, the woman said, you must get on it. But how will I know, the child asked, it is the right train? It will be the right train, said the woman, because it is the right time." And so on. A mist has settled over these poems — they've become clouds in which you can divine whatever you like — ships or volcanoes or your mother's nose — but there's ultimately little to hold on to. sprayed onto stages to allow for difficult set changes. Sometimes, the poems' incompleteness and inscrutability are suggestive rather than prohibitive: "Mother died last night," she writes in one poem. "Mother who never dies." We don't find out any more, but do we need to? It's perfect: "Mother who never dies." And perhaps it isn't fair to condemn Glück for finally reaching that ecstatic blankness she's been working towards for so long. Does she really owe us the happiness of easy explication? Does she owe us pebbles of truth we can take away with us when we go? We are not left with certainties, but rather lost, sure that somewhere, somehow, we've missed something important.